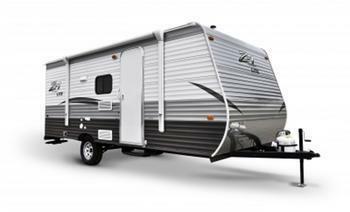 Crossroads RV is recalling 13 model year 2016-2017 Z1 Lite travel trailers manufactured January 2, 2016, to February 4, 2016. The recalled trailers are equipped with a Suburban furnace, model #NT-20SEQ, that may have an exhaust cover that incorrectly identifies the hot exhaust tube location. If the cover indicates the wrong hot tube location, someone may unexpectedly touch the hot exhaust tube, increasing the risk of injury. Additionally, if a plastic return tube was installed there is an increased risk of fire. Crossroads will notify owners, and dealers will replace the exhaust cover, free of charge. The recall began on February 26, 2016. Owners may contact Crossroads customer service at 1-855-226-7496. Crossroad's number for this recall is 40-2015.